Image: Model of the Mishkan at Timna, Israel on October 15 2008. Photo by Rafael Ben Ari/ Shutterstock. Notice that there are no human beings. I’m always a little sad when we reach this week’s Torah portion, Terumah. I know that there is still plenty of Torah to find in the words and between the letters, but we’re out of great stories for a while. The child in me that loves stories misses Genesis and the first part of Exodus. 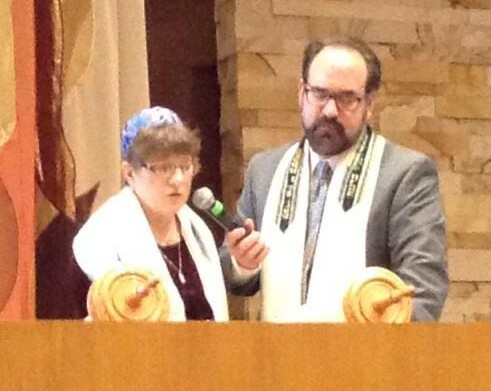 I normally begin the week by reading the Torah portion, and this week I was struck by all the things in this Torah portion. All of a sudden, God is into interior decorating: we’re going to build the Mishkan [Tabernacle] and it’s going to have a golden lamp, and here’s how the lamp will look, and it’s going to have a table, and a this, and a that. Then God is busy planning Aaron’s ordination: he’ll wear this, he’ll do that. Plans, plans, plans! This year, more than most years, I am irritated. I want stories. I want people. Human beings need connection. We are social beings, even those of us for whom being social is difficult because of circumstances or disability. I think this is what distresses me about Parashat Terumah – suddenly Torah is all furniture and fixtures, just God dictating to Moses what is wanted in the new digs, and how Aaron’s ordination should go. I feel bereft. The LORD spoke to Moses: See, I have singled out by name Bezalel son of Uri son of Hur, of the tribe of Judah. I have endowed him with the Divine spirit of skill, ability, and knowledge in every kind of craft; to make designs for work in gold, silver, and copper, to cut stones for setting and to carve wood—to work in every kind of craft. The spirit of God, ruach Elohim, is not in things. It is not in golden furniture. It is not in great buildings. It is not in computers, and not in smartphones. In the modern Jewish world, we locate it in the actions of human beings who reach out to other human beings to do work, to learn, to love, and to struggle. Let all who are able step out from behind our computer screens, look up from our smartphones, let us reach out to others for human connection. Let ruach Elohim, the spirit of the Divine, sweep over the boundaries between us. Let us connect with our spouses, with our children, with the guy who carries away the garbage, with the lady at the cash register, with the guy wearing a baseball cap with a team insignia. Let us make eye contact, let us introduce ourselves, let us touch hands, let us connect. For it is in those moments that we are filled with ruach Elohim, in those moments when we are most fully human, when we connect. Parashat Bo begins on a curious note. We usually translate “bo” as “come.” But in Exodus 10:1, “Bo el Par’o” in Exodus 10:1 is usually translated, “Go to Pharaoh.” “Come to Pharaoh” would suggest that God is with the ruler of Egypt, and the next phrase seems to confirm it: because I have hardened his heart. So here we have a layering of paradoxes: a “come” that means “go” and a God who is somehow with Pharaoh, the embodiment of evil. The Zohar offers one solution to the paradox of “go” and “come”. It reads Exodus 10:1 as a metaphor in which God calls to Moses from Pharaoh’s throne room, summoning him into the cavern of a fearful serpent, the evil heart of Egypt’s soul. The process of Exodus is like the journey from youth to maturity. Sooner or later, those who wish to become truly mature must confront the darkest parts of their personality. “Come,” our yetzer hara [evil inclination] calls to us, and we enter its chamber, filled with dread, because we know it to be powerful. “Enjoy yourself,” it murmurs. If we surrender to it, we give ourselves over to selfishness. The task of the mature Jew is to take a sober look and see the evil inclination for what it is. This can be terrifying, precisely because the ugly thing is deep within us. As the Kotzker Rebbe reminds us, it is then we may realize that despite the terrors of that place, God is with us every step of the way. The good news is the Kotzker Rebbe’s interpretation: we may be down there in the hole with our worst inclinations, but we don’t have to be there alone. God goes with us into those dark places. I find it reassuring to remember that Jews all over the world are with me in this struggle, too, each of us wrestling our own private demons. All human beings have an inclination to selfishness. Indeed the rabbis assure us that we cannot thrive without a little of that yetzer harah. (Yoma 69b) That is not just human nature, it is the nature of all creation. But our task, as human beings, is to struggle with our selfish inclination and to keep it within the limits prescribed by Torah. In the opening phrase of this week’s Torah portion, the Kotzker Rebbe reminds us that we have to go into the darkness – but God not send us there alone. A slightly different version of this d’var Torah appeared in the CCAR Newsletter. Posted on January 11, 2016 January 11, 2016 Categories D'var TorahTags Exodus, Parashat Bo3 Comments on Are You Coming or Going? Parashat Va’era (Exodus 6:2 – 9:35) continues the saga of the struggle between God and Pharaoh. It deals with Moses’ feelings of inadequacy, the obstinacy of Pharaoh, and the first seven plagues. Sure enough, it’s a list of men’s names. There is not a single woman’s name in the list that opens Parashat Shemot. One might get the impression that Judaism really has no place for women. But that’s too shallow a reading: after the list of men’s names, the portion is filled with the daring actions of women, actions without which there would have been no Judaism today. In Chapter 1, we learn the story of Shifrah and Puah, two midwives who refused to murder Hebrew babies. In doing so, they defied the most powerful man in the world to his face. Pharaoh understood that they weren’t cooperating, even if he could not catch them at it, and he moved on to another plan. But the fact remains: Hebrew children survived because two women looked the King of the World in the eye and defied him. In Chapter 2, we learn the story of the mother of Moses, a Levite woman who hid her son from the king’s minions for three months. Again, a woman defies Pharaoh! When she could hide him no longer, she put the infant in a basket and set it afloat in the Nile, a desperate act indeed, considering that the river was notorious for its ravenous crocodiles. Miriam followed along on the bank watching over the baby boy. Midrash tells us that Moses’ sister had the gift of prophecy, that she knew her little brother would grow up to be someone remarkable. Nevertheless, imagine the nerve it took to follow along in the reeds, watching over that basket! There were dangers on the bank, too: crocodiles, snakes, and Pharaoh’s soldiers, yet young Miriam never abandoned her brother. In Chapter 4, the young wife of Moses, Zipporah, watched her husband have a near-fatal encounter with God. She deduced that it had something to do with Moses’ failure to circumcise their son, so she took a knife and performed the circumcision herself. The story is very mysterious, but one thing is sure: Zipporah’s name may mean “little bird” but she herself was no shrinking violet. So yes, Exodus may begin with the names of men, but it is the deeds of women that set this great saga in motion. The place is Joshua Tree National Park in Southern California. 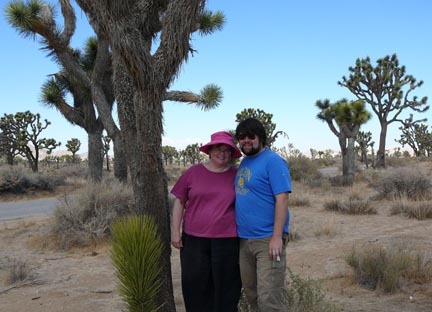 The weird looking plants around us are Joshua Trees, yucca brevifolia. They are native to the southwestern deserts, especially the Mohave Desert. Joshua trees live in a harsh environment to a very great age; some have lived almost a thousand years. In the springtime, if the winter has been wet enough and there has been a freeze, the tree blooms. Its flowers are heavy clusters of blossoms the size and appearance of quail’s eggs, and they have a pungent stink. But when I look at the trees themselves, I can easily imagine naming them for Joshua. They thrive in the wilderness. They are prickly, and stinky, and yet still they command my attention, pulling at all my senses. I imagine Joshua was such a man, different from Moses, perhaps more charismatic. Moses led the people out of Egypt, fussing and challenging him all the way. Joshua led them into the Promised Land, and they did not challenge him. Joshua was born in Egypt. He was true to the covenant to his dying day. He led his people into battles and lived to a great old age, as do his namesake trees. and sure enough, it’s a list of men’s names. There is not one woman’s name in the list. For the first fourteen verses of the portion, it’s just boys, boys, boys. One might get the impression that Judaism really has no place for women from reading this stuff. But here’s the irony: the rest of this portion is full of the daring actions of women, actions without which there would have been no Judaism! In Chapter 1, we get the story of Shifrah and Puah, two midwives who refused to murder Hebrew babies. In doing so, they defied the most powerful man in the world to his face. Pharaoh understood that they weren’t cooperating, even if he could not catch them at it, and he moved on to another plan. But the fact remains: children survived because they looked the King of the World in the eye and defied him. In Chapter 2, we get the story of the mother of Moses, a Levite woman who hid her son from the king’s minions for three months. Again, a woman defies Pharaoh! 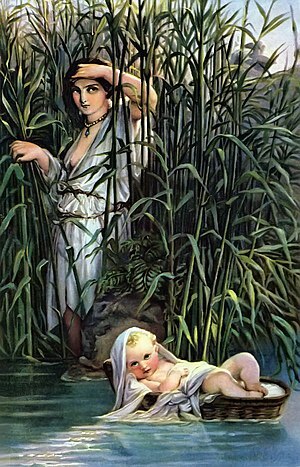 And when she can hide him no longer, she puts him in a basket and puts the little bundle in the Nile – a desperate act indeed, considering that the river was full of crocodiles – but her daughter, Miriam, follows along on the bank, watching over the baby to see what happens. Midrash tells us that Miriam had the gift of prophecy, that she knew her little brother would grow up to be someone remarkable. But think for a moment about a girl, who sees her mother lose her nerve, putting the baby into the arms of God, as it were, but who follows along. There were crocs on the bank, too – yet little Miriam still watches over her brother. In Chapter 4, Moses has grown up, and left Egypt, and his young wife, Zipporah, sees that he has a mysterious encounter with God that nearly kills him. She decides that it has something to do with Moses’ failure to circumcise their son, so she takes a knife and performs the circumcision herself. It is a very mysterious story, but one thing is definite: Zipporah’s name may mean “little bird” but she is no shrinking violet.